Having seen in some detail about GDP, let us move on to learn about Per Capita GDP. To arrive at Per Capita GDP, take the country�s gross domestic product (GDP) and divide it by the total population of the country. 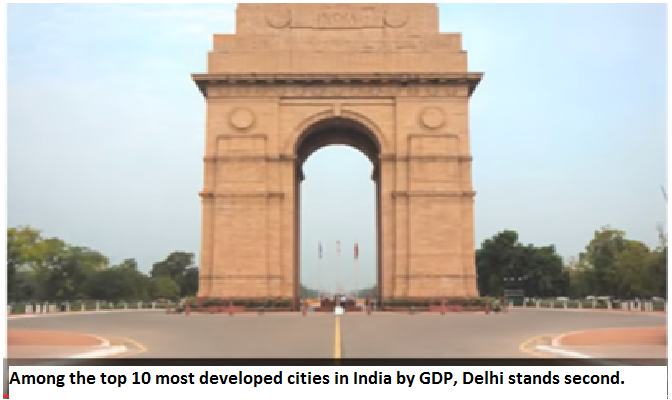 In a way, the total population of the country is a vital factor in calculating the Per Capita GDP. For example, if the GDP of two countries are same, the Per capita GDP, to be same, must have the same population. On the other hand, if one country has a larger population, then, the Per capita GDP of that country will be less compared with the other country with a lesser population. From this fact, we can derive some more significant implications. Before we proceed, let us know that there are kinds of GDP like Nominal GDP and real GDP; the real, the actual GDP and the potential GDP. We shall look into them when we need in proper context. Per capita GDP reflects the relative performance of the countries. In other words, a higher per capita GDP indicates relatively better performance of the country in the sense that it has produced more and provided more services. In turn, it implies that the country with a higher Per capita GDP has a higher standard of living. People there are more comfortable with access to all necessities for living. Generally, productivity is taken as a measure of GDP. It talks about the productivity of the workforce of the country in total. Economists, however, point out that to assess the productivity competency of the workforce, the output every hour must be taken into account. It does matter. If the workforce works 8 hours a day, for example, and produces 100 products, it is a measure of its competency; supposing the workforce of the same size of a different country works 6 hours a day and produces 100 products means, that workforce is considered more competent. Today, the international concern is to develop skilled workforce since only the skilled workforce helps achieve sustainable economic growth. Many researches have been carried out with a singular focus on development of skilled workforce. The urgent call of the nations is to retain the skilled force in their respective places and simultaneously train the existing force towards competency. In our next session, we shall briefly look into the necessity of developing skilled workforce and the steps that must be taken to achieve the goal.